My son loves LEGOs, yay! He is going to love these! He is always excited to get new LEGOs and his older sister helps him to build them. So, if you have boys, or girls, who love LEGOs then these printable pages will be great for your homeschool. 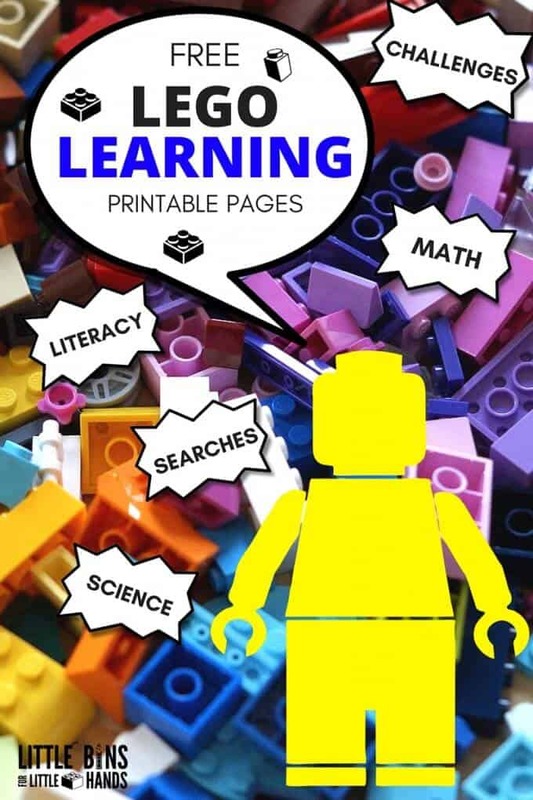 There are LEGO printables for literacy, math, science, challenges and coloring. Click here for Little Bins for Little Hands free printable LEGO learning pages for kids.